Wireless Charging: Compatible with all Gear S3 devices, including Samsung Gear S3 Classic SM-R770 /S3 Frontier SM-R760/S3 Frontier SM-R765 Smartwatch. Compatible: for Samsung Gear S3 Classic SM-R770 /S3 Frontier SM-R760/S3 Frontier SM-R765. Designed for Huawei Honor smart watch. Applicable model: Universal for Huawei Honor 4 Standard Edition/Band 2 Pro/ Honor 3 Smart Watch. Included: 1 x Charging Cable. Due to the different monitor and light effect, the actual color of the item might be slightly different from the color showed on the pictures. Compatible with: Samsung Gear S2 and Gear S3. Charging cradle x 1. LED indicator and watch screen conveniently show charging status. Convenient Wireless Charging. Due to the light and screen difference, the item's color may be slightly different from the pictures. Power Protection Inside : Keep your Samsung Galaxy Gear Fit 2 SM-R360 safe from over-current or over-charging when connected it power source. 1 Charging Dock (not included smart watch). Compatible Model: For Samsung Gear fit 2 SM-R360,Gear Fit2 Pro SM-R365 watch. Perfect fit for Samsung Gear fit 2 SM-R360,Gear Fit2 Pro SM-R365 watch smart watch. 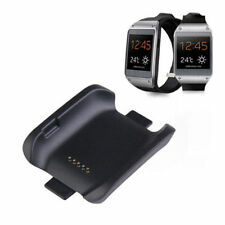 1 Charging Dock (not included smart watch). Power Protection Inside : Keep your Samsung Galaxy Gear Fit 2 SM-R360 safe from over-current or over-charging when connected it power source. 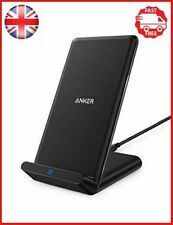 Products Description : Synchronize data to PC and mobile phone battery charging at the same time Features: Suitable for Samsung Galaxy Note 3 III N9000 N9005 Charging a spare battery. 1 x Charging Cradle. Charging your device while the watch is not in using. Applicable: Samsung Watch SM-R350. 1 x Micro USB Charging Cable. The Watch in the picture above NOT included. Main material: plastic. (1 Nokia Withings Steel HR 36mm/40mm charging and data cable (Watch NOT included). Nail Art ACC. Cable length:1m. Support data sync. 2) The item arrives back here in re-saleable condition(unmarked). Magnetic design, strong suction. Novete Fast Wireless Qi Charger Stand - Black. Condition is New. Dispatched with Royal Mail tracking 1st Class. Suitable for Sony Xperia Z2 Z3 Z3 compact. Interchangeable inserts enable you to use the dock with your Sony Xperia Z2/Z3/Z3 Compact with its cover attached or without. 1x Magnetic Charging Dock. It can be charging your phone,the stand holds your phone comfortable reading angle, view movie and so on. For use with Samsung Galaxy Note 4 battery. LED Power Indicator. Input: DC 5V / 500mA - 1000mA. • IPhone interface holds your phone in place whilst charging. • Slim design: 1.6mm thickness, not obvious, comfortable handling. • Soft and Slim design for easy handling. • Safe and rapid charging without over-heating. 1 x Charging Cradle. Charging your device while the watch is not in using. Applicable: Samsung Watch SM-R350. 1 x Micro USB Charging Cable. If you are not satisfied with the item, you can. Main material: plastic. White Desktop Sync Charger Dock Docking Station For iPhone 4 4G 4S, iPod & More. Quick Release Strap Stainless Watchband For Samsung Galaxy Watch 46mm SM-R800. Quick Release Nylon Loop Fastener Watch Band Strap for Garmin Fenix 5X Fenix 5. 10Pcs Velvet Small Bracelet Watch Pillow for Watch Box Jewelry Display Storage. Features: Extra Replacement Charger to Give Your Huawei Watch a Boost in the Office, at Home, in Car or on Travels. Compact and Portable design, easy to carry, perfect for travelers and business users. Connect well to your Huawei Watch with stronger design for a longer lasting product lifespan through the USB connector into your wall charger, car charger or computers. Make your Huawei Watch charging become more convenient. This Charging Dock Only Works for The Huawei Watch, NOT for any other models. Moto 360 Wireless Charging Cradle For Moto 360 1st and 2nd gen watch. Condition is Used. Includes USB cable (not pictured). Dispatched with Royal Mail 2nd Class. Selling as I no longer own the watch. Ideas that can make our routine tasks easier and truly enhance our daily activities. Cord organizer: Clear up your cables in a regular way. Type: charging base bracket. Perfect fit: Accurate openings will not affect any key operations and basic functions, such as synchronous, charging, headphones etc.